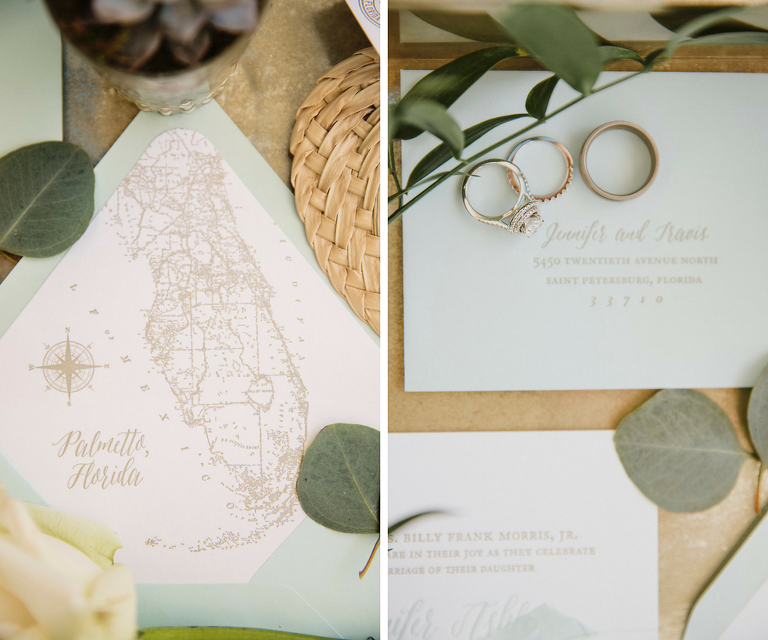 Jennifer and Travis’ Sarasota area wedding featured a charming low-country theme, soft pastel color palette and a breathtaking outdoor reception. 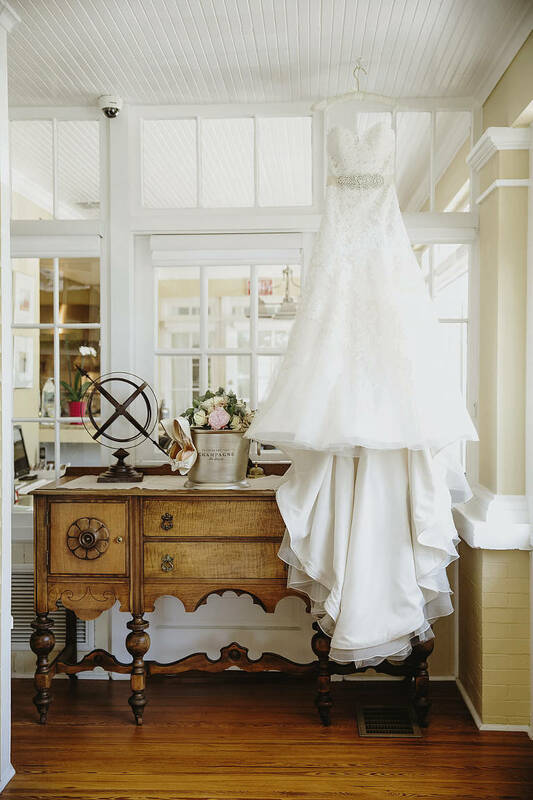 The St. Petersburg couple created a quaint, romantic, and southern atmosphere for their big day. 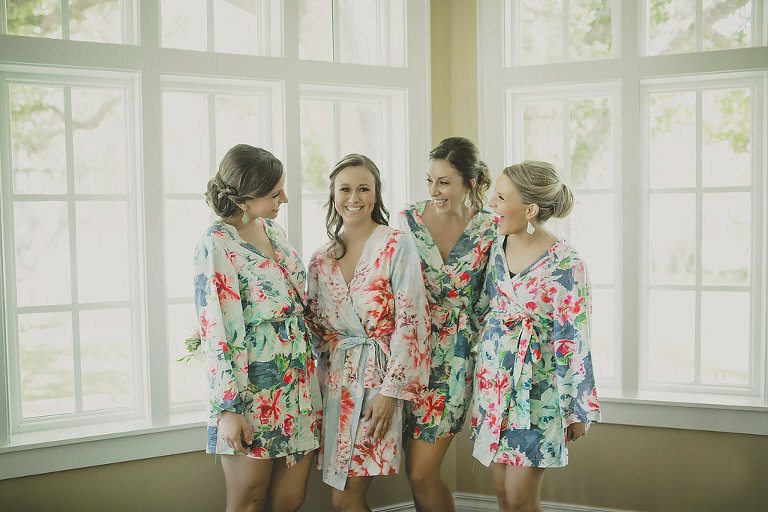 Envisioning a relaxed and low-key event, Jennifer hired a day of coordinator and stylist, Reserve Vintage Rentals who handled a majority of the details while creating the beautiful day that they had envisioned. 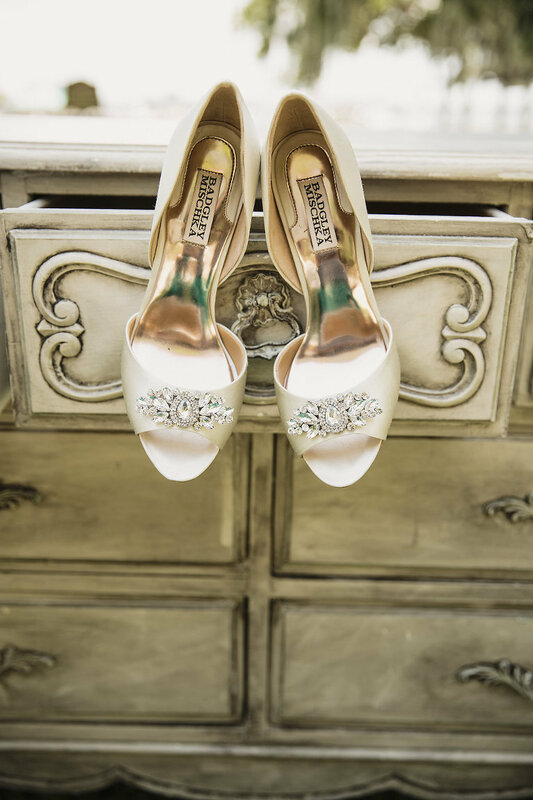 Looking back, the bride’s most cherished memories included savoring the final moments of the night. “I was dancing with my husband, and all of our friends and family were around us in a circle. I looked around and saw all of our closest loved ones surrounding us on our most perfect day and was completely overwhelmed with gratitude. I started crying pure tears of joy at just how fortunate we are to have each other and such loyal friends and family. It was a beautiful start to our beautiful life together,” the bride reminisced. Low-country with some old Florida charm. There is something so appealing to me about low-country landscapes. This location transported me to South Carolina, but still gave me the bits of Florida that felt like home. Seafoam green, grey and blush. The seafoam reminds me of water and the gorgeous colors of certain palms. Travis and I had just gotten back from our normal 5:30 a.m. walk with the dogs. I went into the kitchen to make coffee, and sitting on the coffee maker was the sweetest note and my grandmother’s wedding ring. Early morning walks and a cup of coffee together has always been a very special part of our relationship and this sealed the deal for that ritual. We will forever love the Johnny Cash quote, “This morning, with her having coffee,” when he was asked about his idea of paradise. What did you look for in a wedding rental company and stylist? Personality. I’m a people person and I have to jive with you to make things work! Priscilla of Reserve Vintage Rentals is a gem. Of course her beautiful rentals and style speak for themselves, but her personality and attention to detail are what really set her apart and make her shine. Don’t let the planning process stress you out. Make your lists and timelines and stay on track with checking items off. It was such an enjoyable experience for us, but only because we never felt like we were down to the wire. Everything flowed and by the time the wedding arrived, we were all set and could sit back, relax and enjoy!